​Journey with us through the City of the Tribes, as we show you our city. Your local guide, John, becomes your 'insider', the source of local knowledge. Try a different Irish drink in each bar and learning about it's creation, history and the part it plays in Irish culture both past and present. 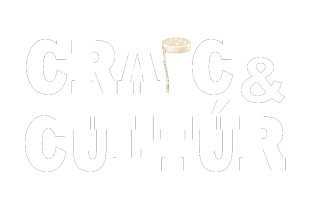 Guided by a Green Blooded Irishman/woman, Experience the local characters, local music, and the famous Irish ‘Craic’ that has made Ireland and the Irish renowned across the world. Arrive a Visitors - Leave as Friends. John as Guide - Guaranteed ! We start (as all good things do) with a Pint, introducing ourselves chatting and relaxing into the evenings experience. We sample some lovely homemade Traditional Irish Food to fuel for our evening. We then take a walk through the "old town" , along this walk you will see areas of the city visitors rarely get to experience, taking in some history, modern culture and stories. Next we take a pit stop for some refreshment, in a unique area of the city, taking in the local atmosphere we discuss, chat and ask questions, giving you time to really discover Ireland and the Irish as only a local can describe. We then take to the streets again, venturing into another different side of the city, with the breeze of Galway Bay around us we learn of Traditional Irish Sport, International influence on Galway and modern lifestyle. After working up a thirst is time to stroll some more, to our next venue, where surrounded by locals and visitors alike we sample a locally brewed ale, and attempt to play a traditional Irish instrument. This is the most unique experience in Galway city and can be adjusted and customised to meet your groups needs. It is also a great way to experience Galway in a way that adds confidence to your time here and allows you to explore further by yourselves the second night of your stay. Starting point: Eyre Sq, Galway - Starting location will be given in booking confirmation. Simply give us a call and we'll direct you in.